Even the company name had to reflect the vision, hence 'Maintenance Professionals' became Main-Pro Limited. We also provide specialist skill areas such as wooden window repair in response to customer demand. We are here to provide you with fantastic building care, from reactive building maintenance to large refurbishments such as toilet block renovation. If you have a particular building issue in mind - get in touch today! 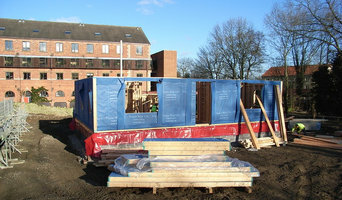 We know that self-build is a big undertaking, so we aim to make it easier for you. Self-build the Scandinavian way turns your dream of a custom home build into a reality. Through our partnerships, we can provide you with advice on land purchase, planning and finance, and our construction teams offer you the option of a turnkey service. Our suppliers have decades of experience in manufacturing high quality homes, and our houses are backed in the UK by a ten year structural insurance warranty. We will give you all the help you need to ensure an efficient and stress-free project from start to finish. Based in Northern England and drawing on over 40 years' collective experience in the construction industry, we specialise in the design, development and construction of residential, public and commercial property ventures throughout the Yorkshire region. From house extensions, office refurbishment, restorations to new builds in all sectors, Westfield Construction offer a comprehensive range of professional building services to cater for the demands of all prospective clients. 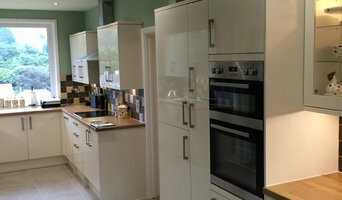 Our extensive range of services include: * Design conception and development * Project management * Construction * Refurbishment of Listed and Historical Buildings * Residential, Public, Industrial and Commercial property We partner with property owners and developers from many sectors, undertaking all aspects of build from design, costing and construction through to refurbishments and extensions for both private and industrial buildings. We have engaged in co-operative partnerships with architects, landowners and developers who have needed our construction experience and knowledge to enable them to reduce risk with the development of a number of new build ventures. Curve Building Solutions offer solutions to all your building needs - new build, refurbishments, extensions, kitchens, bathrooms, bedrooms, gardens & pavings... From conception to completion, through the whole design process and build. 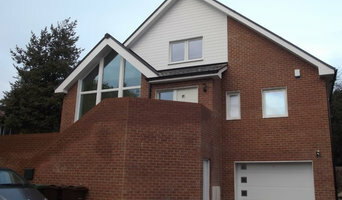 Property Renovation and Refurbishment Specialist working in Leeds, Harrogate and surrounding areas predominantly. Now in our 13th year, the business has hundreds of successful projects under our belt and a well established reputation for offering quality service with reliable execution and delivery of refurbishment works. At PNC Construction Ltd we pride ourselves on delivering professional service, high quality work and superb value for money. Whether you are planning a complete renovation, loft conversion or single/multi-storey extension in Sheffield, we can turn your ideas into a reality. We offer full project management, architectural design and building services for one simple price. All of our work is guaranteed, fully accredited and carried out by professional craftsmen. Operating throughout South Yorkshire, we also cover Barnsley, Chesterfield, Rotherham and Doncaster - so contact us now for a free, detailed quote. We are a professional property maintenance company based in West Yorkshire, we undertake any odd jobs including Plastering, Plumbing, Fitted Bathrooms and Property Clearance. Having worked on some of the largest construction projects in Europe we decided to establish an interiors company with a twist in style and the way we operate. We create, design and supply a wide range of internal finishes from mid to high end from flooring to staircases, bathrooms and kitchens etc. 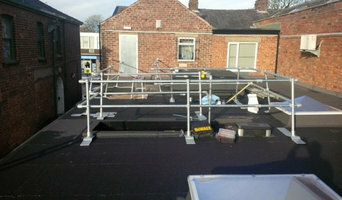 Not only can we provide the design we also supply and install if required. So truly a one stop service for the style conscience individuals where Quality, Service and Design are only the beginning. Established for 30yrs oldfield are a medium size construction company owned and run by brothers Andy & Stew potts, all our staff are employed and fully qualified in there specific fields. we can cater for contracts ranging from £500 to £500k, we will travel up to 30 miles from Oldham.